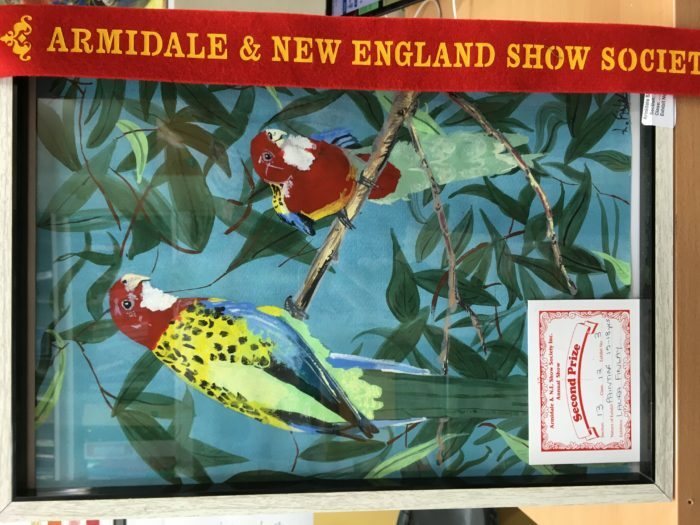 A big congratulations to those students that were successful at the Armidale Show this year. Year 7 entered a collaborative drawing into the Drawing Section for 12 – 14 years and were awarded First Prize. 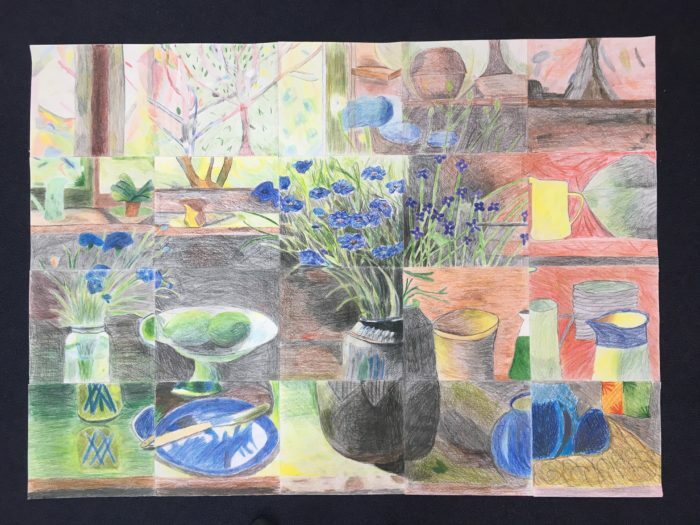 This drawing is inspired by a Margaret Olley painting that the girls are studying in class. 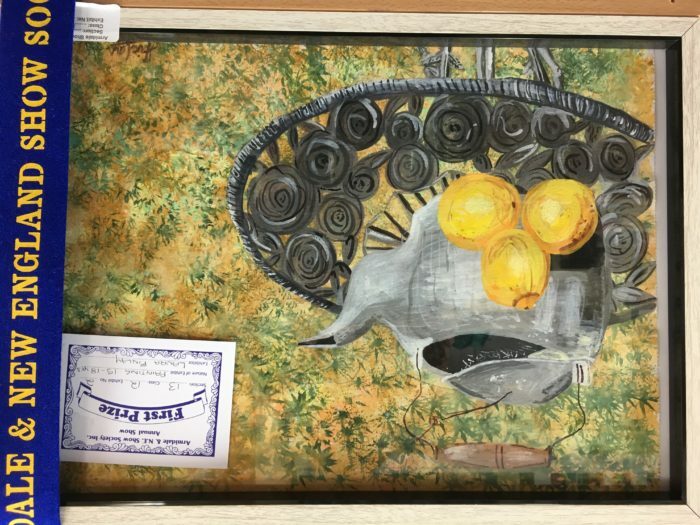 Year 8 (2017), the current Year 9, entered a collaborative painting they completed last year in Visual Arts into the Painting Section for 15 – 18 yrs and were awarded third prize. Laura Finlay (Y11) has been focusing on developing her painting skills using watercolours this year. She entered three works into the Armidale and was successful in achieving First place in Section 13 – Fine Arts section (Intermediate 15 – 18 years). She also entered a painting into the Fine Arts section 15 – 18yrs and received second prize. 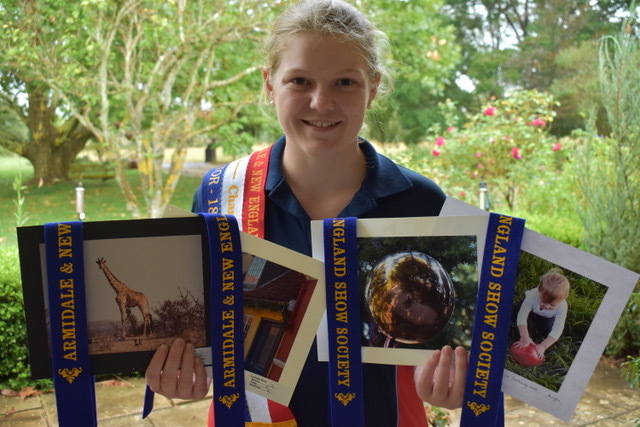 Sophie Sutherland (Y11) entered the Armidale Show with some fabulous photographs. She received four first places and was the Under 18 Age Champion in this area. She has continued success in this area over the past years at the show. She is choosing to do a form of photography for her Year 11 artwork which features the blending of NEGS both old and new.